I was hooked with the very title of this book.Â I do have boys, and I do wonder every day if I am raising them the best way I should in order to make them the most awesome people possible.Â From the first paragraph, I found this book fascinating.Â It is full of research, interesting studies, facts that we now know about the male and female brain, and helpful conclusions and advice on how to keep these male minds fully engaged and thriving.Â I’m not a science buff, or particularly interested in physiology, but I was engrossed and fascinated by the way the authors dived into the science behind the ways that the male and female brains think and react.Â Even having started this book several months ago, I still recall the important ‘take-aways’ regarding the need for a strong male influence in the home, even if it is not their biological father. I agree with the authors’ main point, that there is a growing disconnect in our society where we have put so much emphasis and attention on the advancement of women that the boys and men have drastically fallen behind.Â Males hold the lowest grades, the highest drop-out rates, the lesser amount of graduates, the largest percentage of jails and institutions, etc. and they need to be put back into focus if they are to lead their families and lead society like we need them to. Evaluation questions at the end of each section helped me to mentally chart my own areas of improvement, and summed everything up what I had read into a encouraging call to action. This book, written by two fathers, is full of countless examples, from their personal lives and the lives of those they have mentored or treated, as well as helpful ideas, backed with studies and facts to prove points.Â I found it written very well and easy to understand, particularly while the two author’s words were seamlessly combined to not be confusing or at all contradictory. I thought their religious interjections, mainly consisting of people and stories from the bible, where heroes we know faced similar trials or temptations and felt similar feelings, were beautifully placed and written.Â Though not of my faith, I still agreed with these authors and the strong religious truths to their words. 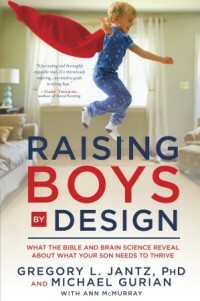 This book is lovingly written to educate and encourage anyone who really believes, or wants to believe, in their wonderful boy(s), and I will recommend this to any mother-of-boys looking for further insight into the way their little minds work. I was super excited about this book based on its title, as this is something I really want to work on becoming.Â I had high expectations, and though it was a nice book with some nice thoughts, I didn’t really change my life. I was interested and attentive for the first portion of this book, but slowly lost my fire to finish as it continued.Â Perhaps we didn’t jive because everything kept tying back to the biblical character of Nehemiah, which was a nice religious analogy to make, but he was brought up incessantly.Â It felt like every other page, the author was referencing his story and making assumptions about his thoughts andÂ motives, making them sound like fact.Â Perhaps I am just not as familiar with or interested in Nehemiah, and if IÂ had more of a connection with him, I would have appreciated all the speculation. I didn’t exactly like seeing all the promoting of the author’s business, iMOM, throughout the book, though an occasional reference as to where to find more info was helpful. The book has really just made me feel more overwhelmed than encouraged about the stresses, strains, and worries that are supposedly inevitably coming my way as my children grow older.Â This has been affecting me moreso than any other literature to this point in my life.Â It is sure making me appreciate how little and simple my children are right now, uncomplicated and obedient, and I am only more dreading their growing older into rebellious andÂ difficult children,Â though I don’t think that was the intent of the book.Â I’ve been feeling more aware and appreciative after finishing, but not exactly empowered with knowledge, as I hoped would be the case. It was finally about 3/4 through the book that it starting becoming engrossing to me, and I wasn’t reading out of obligation any more.Â At this point were a number of sections about specific things to watch out for, specific things to do, and specific ways to mother.Â Its as if the majority of the book was full of inspirational fluff, like gather figurative bricks with imaginary mortar to build metaphoric walls.Â I couldn’t really get in to it.Â When the book changed direction into offering how-to’s and what-to-do’s, I couldn’t put it down. If you are someone who enjoys analogies and need a new perspective, and most of all, are prepared to read over a hundred pages about what Nehemiah did and didn’t do, you will love this book! You can purchase and find more information on this book HERE. *I received this book free from the publisher through the BookSneezeÂ®.com (http://BookSneezeÂ®.com) book review bloggers program. I was not required to write a positive review. The opinions I have expressed are my own. 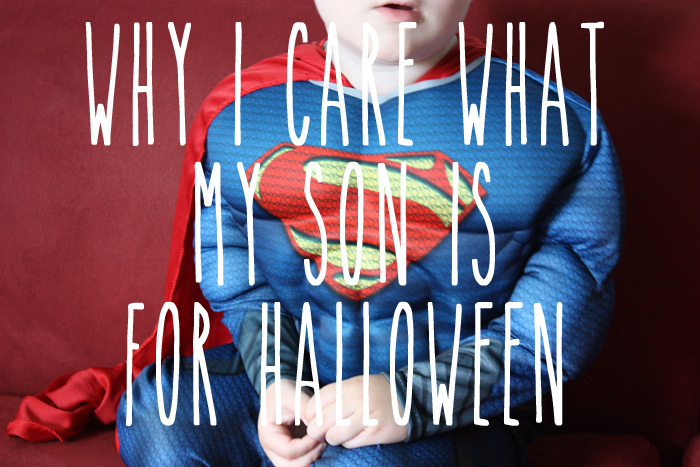 My now four-year-old was the most stubborn, difficult toddler I think I could have conjured up in my head.Â Â I can remember so many nights crying and praying to ask why I was sent such a strong-willed little boy to raise.Â I struggled to feel like the work I was doing as a parent was effective in any way, and I especially struggled some days to find the joy in parenting.Â Although he was probably more trying than other two/three-year-olds his age, I look back and can see now that my misconceptions about him as a toddler made such a difference in my experience.Â I had an extremely hard time allowing myself to pick my battles, as I was convinced that allowing him to “get away” with something at the time would inevitably lead to him being a high school dropout selling drugs at 15! As he’s now grown and developed into just the best kid I could have asked forÂ (not in terms of being the easiest andÂ or the most well-behaved, but certainly the best for our family), I realize that so many of the changes that I made in my interactions with him improved my perspective of motherhoodÂ and our relationship overall.Â Â My husband and I haveÂ come to accept these specific traits that used to drive us crazyÂ and have tried toÂ figure out the best way to work with them, rather than trying to change my son as we had attempted in the past. One of the sections from this book that caught my eye was related to this excerpt from the back cover of You Can’t Make Me (But I Can Be Persuaded).Â I was interested to think of all the qualities and traits that I hope my children develop as they grow into teenagers and adults, and they were the same traits that can also make me want to pull out my hair during toddlerhood and preschool yearsÂ — I want my boys to stand strong for what they know is right, to be independent, and to make their own decisions.Â The author of this book explains how parents canÂ better understand how the mindsÂ of strong-willed children really work,Â how toÂ discover positive ways to motivate your strong-willed child,Â how to share control without compromising parental authority, and how to apply key tactics to survive a meltdown. 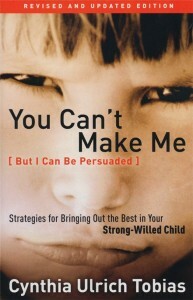 I was very impressed by this book, mostly because the author describes many of her own challenges with her son, who was a strong-willed child himself.Â Her background in law enforcement, teaching, and being a mother to twin boys (one strong-willed and one not) provides the perfect balance of experiences that she presents objectively to display best practices that empower those who are strong-willed without making them feel defensive or on guard.Â She explains events where those with strong will are triggered by certain wording or behaviors that could be easily changed to create an atmosphere of working together to benefit allÂ (hence, But I Can Be Persuaded). If you are a parent,Â grandparent, aunt/uncle,Â teacher, camp counselor who works with strong-willed children or are feeling discouraged in your interactions with them, I would highly recommend this book to you! **I received this book for free from WaterBrook Multnomah Publishing Group for this review. The topic of how to maintain cleanliness in a house with many children is SO important to me! !Â I plan to have a lot of kids, and I plan to read a lot of helpful material before I get there!Â I read the title of this book (Cleaning House, A Mom’s 12-Month Experiment to Rid Her Home of Youth Entitlement) and instantaneously HAD to get my hands on it.Â This book turned out to be every bit as wonderful as I hoped it would be, and I have nothing but the most positive things to say about it. I immediately formed a bond with the author (and her cute kids!) as someone who became very real and very relatable.Â I trusted her insight and believed her every word, convinced that following in her footsteps will reap the same results!Â The 272 pages flew. It was so completely empowering!Â With every new chapter and every new project, I was inwardly saying, “Yes yes yes!Â I want to do this too!”Â While I don’t have children quite old enough to assign chores and send on errands, I can start now by instilling important cleanliness values and expectations, and I feel geared up and ready for it. Â I’ve been telling all my family and friends all about this book, and when its my turn to choose the book for my book club, I’m definitely choosing this one!Â The ideas, insight, humor, real-mom experience, and spelled out blueprint of a plan to follow have made this my best reference for the next upcoming years of parenting.Â I will be holding on to this tight! 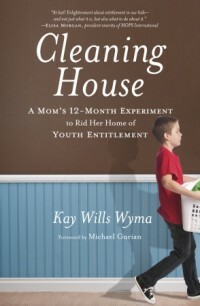 I have only the highest praise for this book, so imagine my delight in discovering Kay’s BLOG!Â (http://www.themoatblog.com/).Â Even yesterday’s post was a gem! I’ll admit it to everyone and anyone — I am a book mom.Â I’d been reading parenting books long before I even had kids (due in part to my background in education), but I stocked up during my first pregnancy.Â I read everything about pregnancy, labor, delivery, the first year, sleeping, nursing, feeding, anything under the sun related to babies.Â When my second son was born, though, IÂ can’tÂ thinkÂ of oneÂ pregnancy/infancy book that I even cracked.Â By that point, of course,Â I was reading everything under the sun related to potty-training, preparing for a new sibling, preschools — I knew how to do the baby thing, but how the heck was I supposed toÂ handle this rambunctious three-year-old?? I had found a couple of great books that I liked for each stage, but I remember thinking how I wished that I could just find an author of a parenting book who had an entire series devoted to parenting.Â That way, I wouldn’t have to read everything but could just turn to the book geared for the next stage of life. 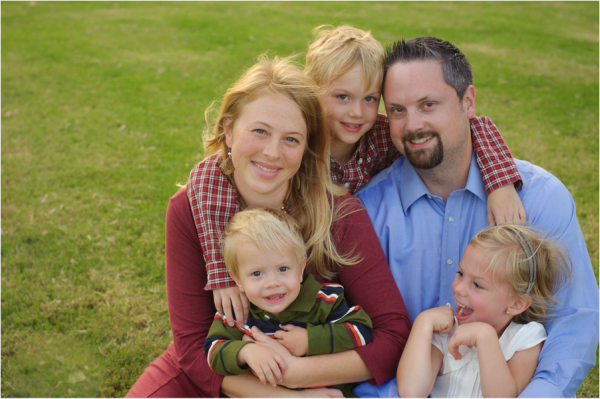 Well, Erin MacPherson has solved that problem!Â The Christian Mama’s Guide series includes four books that takes a reader from having a baby, baby’s first year, parenting a toddler, and through the first school years. Why, then, would these books be so appealing?? These books were delightful to read because they’re clean (not raunchy or filled with too many details), written by a mom (practical applications are invaluable! ), and Christian-based.Â MacPherson feels like a mom from your playgroup get-togethers who has the best ideas and makes you wonder why you hadn’t thought of something so easy.Â She offersÂ lots of encouraging words for moms who are trying to do their best in this special role that can be so difficult.Â She gives suggestions and tips that actually work, and her writing has a great voice that makes this series engaging and hard to put down. The Christian Mama also has website that includes a blog she updates frequently, freebies and resourcesÂ to print and use by yourself or with friends, and includes information and details about writing a book for budding authors. 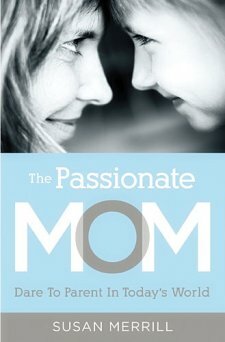 And, she’s giving away The Christian Mama’s Guide series to one lucky Dandy reader! ** The winner of this giveaway will be drawn no later than the morning ofÂ May 11th and will be emailed within 24 hours.Â If the winner does not respond within 48 hours, a new winner will be drawn. ** This posting and giveaway were sponsored by The Christian Mama’s Guide, but all opinions are strictly my own. 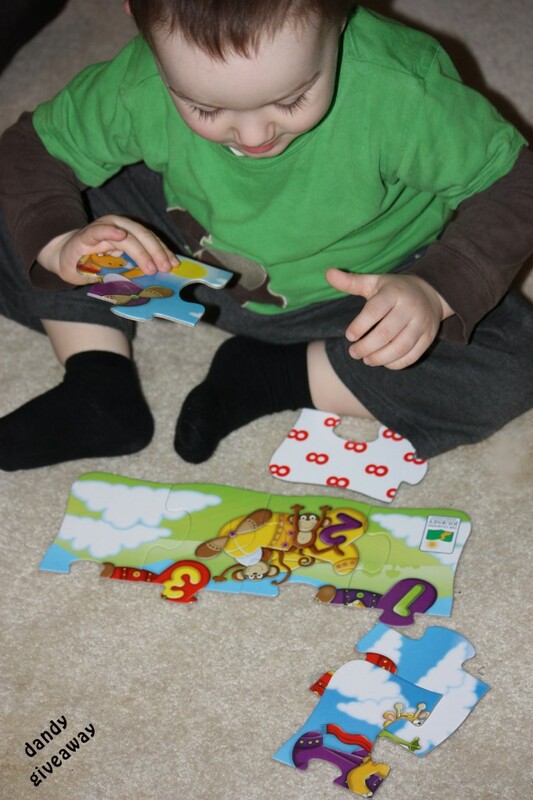 I have been on the hunt for educational games and toys that will help me as teacher and help my son as a student to learn new things.Â I can’t exactly make flash cards or sit him down to a textbook just yet, but I can introduce games and puzzles that will stretch his mind and increase his knowledge.Â One such game is our new 4-in-a-box 123 puzzle from the Learning Journey. 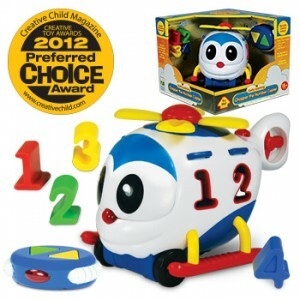 This puzzle set is pretty fun, and has several built-in learning features.Â Just like the title, this set has four different puzzles in one box.Â The first puzzle that makes number 1 consists of two pieces.Â The second puzzle for the number 2 is a four-piece puzzle, the third puzzle for the number 3 is a six-piece puzzle, and the last puzzle that incorporates all the numbers is an eight-piece puzzle. 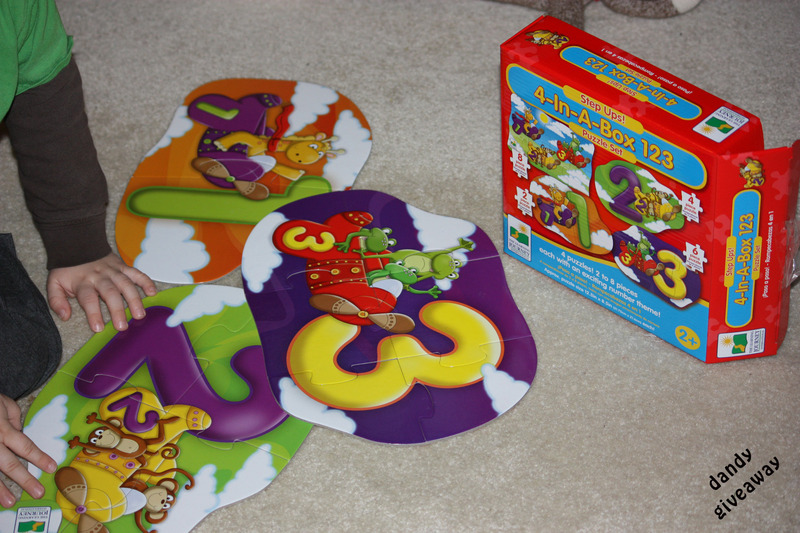 When we pulled out this puzzle for the first time, we didn’t realize that the numbers 2, 4, 6, and 8 were on the back of the pieces, and we were all a bit confused as to what the numbers meant, and why the number 2 was underneath all the pieces for the “1” puzzle, and why the number 4 was underneath all the pieces for the “2” puzzle.Â I think it is a confusing feature on the puzzle for very young children who are new to puzzles, but I can see how this can be developmentally appropriate as the child grows.Â As their capabilities increase, more features can be explained and talked about. 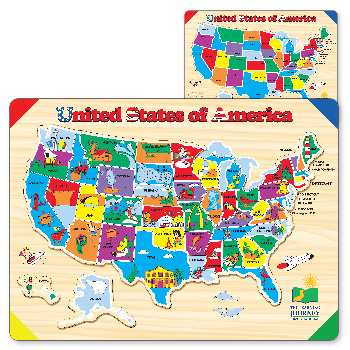 The puzzle pieces are nice and sturdy with vibrant color and no peeling edges, and just the right size for toddler hands. Â The finished puzzles measure approximately 12.5in x 8.5in.Â This is a perfect ‘starter’ puzzle for little minds, and I’m glad it comes in a nice box that stores the pieces. 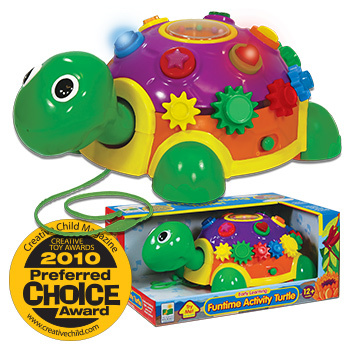 So many fun educational toys and games! 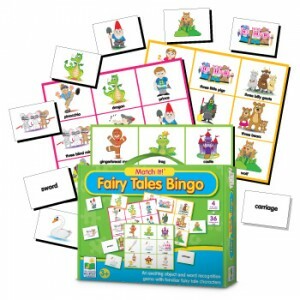 One lucky reader will receive their own 4-in-a-box 123 puzzle set from the Learning Journey! *The winner of this giveaway will be drawn no later than the evening of Friday, March 15th and will be emailed.Â If the winner does not respond within 48 hours, a new winner will be drawn. I think I have a very strong willed child.Â See, I donâ€™t know, because heâ€™s my first!Â Maybe heâ€™s just a typical toddler, but I do think heâ€™s much tougher than other sweet children his age, and heâ€™s certainly gotten me looking for some literature guidance on how to raise him up right!Â Whether he is or he isnâ€™t, wasnâ€™t or will be, I found this book comforting and interesting on many levels. Most helpful of all, I feel empowered with a new sense of how to talk to strong willed childrenâ€”which questions to ask, how to direct instead of force, and what phrases to avoid, as now I understand that he still needs to have some control and choice in all matters. Instead of seeing my boy as my exhausting challenge, I see him as a great force that is capable of things that others arenâ€™t, as in “the very traits and characteristics that get the SWC in trouble are the ones that could potentially change the world” (p. 97). See the Author’s website HERE.Â More information on the book can be found HERE.Â In fact, you can read Ch. 1 HERE, and read an author bio HERE.Â I received this book for free from WaterBrook Multnomah Publishing Group for this review.